Adrian Day of Adrian Day Asset Management shares his thoughts on the resource sector and the gold market. At this year’s Sprott Natural Resource Symposium, the Investing News Network caught up with Adrian Day of Adrian Day Asset Management to get his thoughts on the resource sector. “This is a very good time to invest in gold and an even better time to invest in gold stocks,” he said. He also explained why US President Donald Trump could be positive for both mining companies and the gold price. “As optimism regarding Trump’s policies fades, you will start to see a little more sensitivity to risk in the stock market and that is positive for gold,” he said. Day said that US Federal Reserve rate hikes should not be a concern for gold investors, and shared what they should actually be watching out for this year. In closing, he explained why he likes silver and copper and gave his top stock picks in the resource sector, one of which is a junior mining company. 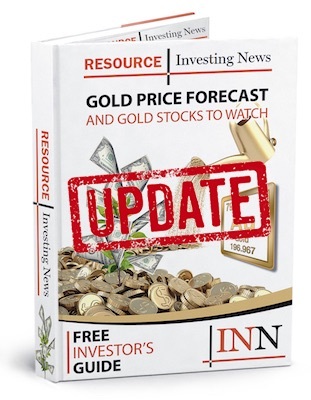 Listen to the interview above for more of Day’s thoughts on gold and the resource sector. The transcript for this interview will be added shortly.